And it's true ~ inspiration for bead designs is all around ~ and usually all I need to do is look at creation, but sometimes I still get in a creative slump. 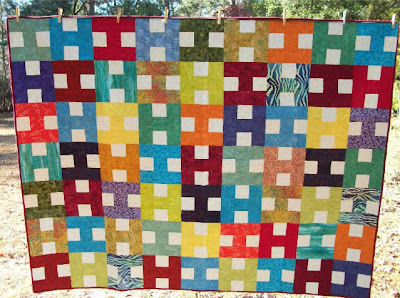 Other ideas for inspiration can be found in the color scheme and patterns that others create...like fabrics designers and quilters...some of them just beg to be interpreted in glass! My friend Freda makes quilts for her family and has a delightful Blog about quilting. 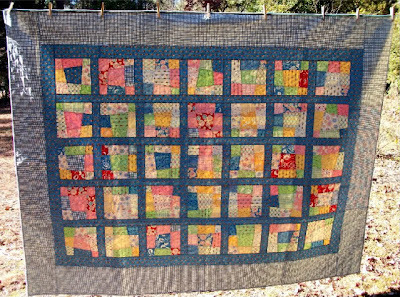 The above quilt she made for one of her 5 grandchildren, and each one has his/her own fabulous quilt, made with the love only a grandmother has. 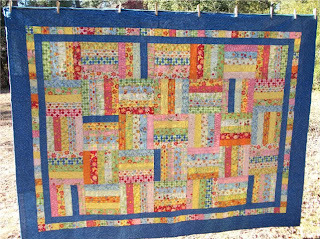 As I studied the beauty of each of these quilts on her blog, I thought about making something special for her, so that she could remember them often. Why not try doing some quilt block interpretation in glass? I was ready to take up the challenge! Beautiful fabric blocks, colors and patterns, reduced to miniature in another medium, glass! I browsed my work- bench for twisted cane, frit, and single colored rods to begin the project. 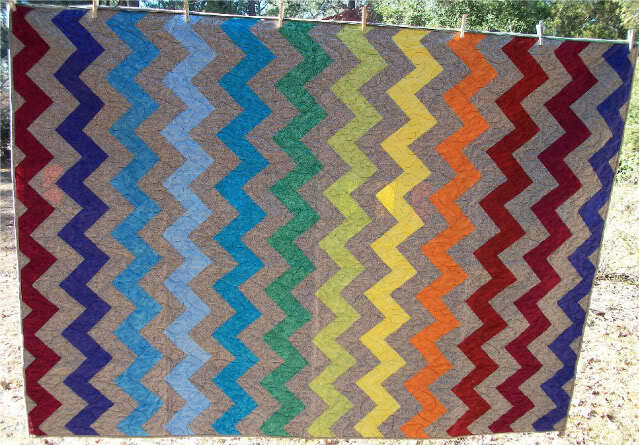 The H block quilt represents a child's initial ~ clever! Check these gorgeous greens and purples! which she received on her birthday this month! Good enough for the Empress of the Universe ? That's terrific! 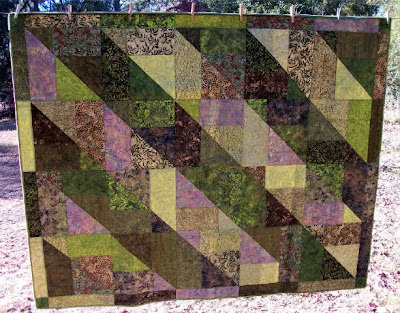 (When you said you wanted to "take up quilting"...I didn't know you were going to try to do it in GLASS!!!) Very creative!!! I love my bracelet... it's gorgeous AND meaningful as well! I defy any of the Pandora-adorned crowd to have anything this spectacular! PS - You take much better photos than I can! I love how you made fabric art into glass art! WOW! I just love love love what you've done. You need to send that into a magazine for publishing. Grandma gets to wear a bracelet that represents each of the quilts she made for her grandchildren. I think editors would eat up that story, and it would get others thinking of how they could do similar things. You have an original and creative idea here that really should be shared! OMG -- I just came upon your blog through the Bead Soup party and LOVE these quilt block beads (my mom is also an avid quilter). Often when I'm talking to my mom about a project, she is able to chime in with such great insights -- and I love talking to her about her quilts even though I'm challenged with needle and thread (I can't even sew on a button very well) ... but these beads really show what a bridge there can be between these two art forms. Nicely done!